At under 2,000 square feet, these charming Midwestern homes show that living in a small space can be glamorous and practical even beyond the city limits. In the heart of rural Iowa, a farmhouse with a footprint of only 950 square feet shows how small spaces can be highly functional. Photo by Mark Mahaney. Northwest of Chicago, a 1,200-square-foot home is the perfect location for comfortably viewing the area's rolling hills and dairy farms. A Wisconsin summer home stands up to the elements while embracing the greenery just beyond its doors. Photo by George Heinrich. 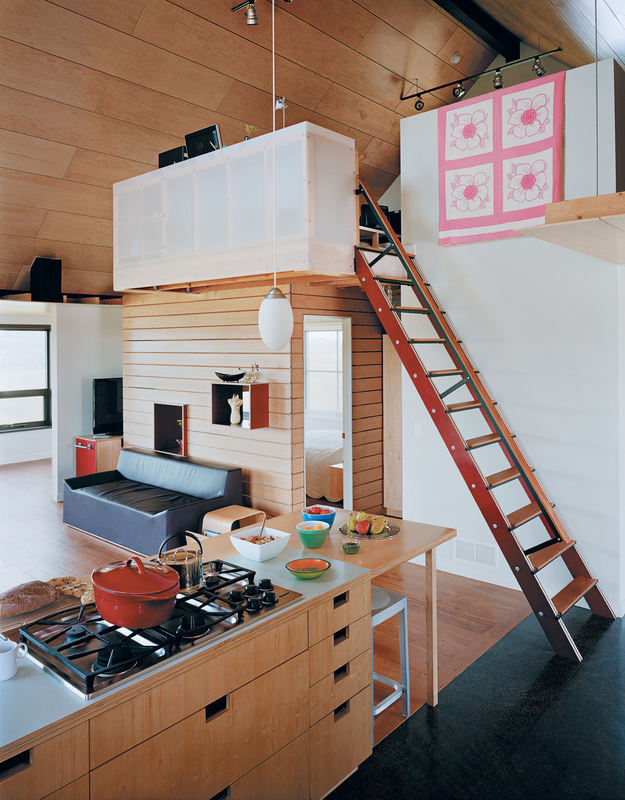 A 1912 schoolhouse offers a couple just enough space. An open concept living room and kitchen space fill the former classroom. In Minneapolis, a 1,000-square-foot home built in 1922 gained an extra 600 square feet during renovation, but still fits neatly into its lot. Photo by Chad Holder. At 1,100 square feet, a modular prefab home in Michigan follows the gentle slope of the land, with large windows that allow in ample light. A couple's island cabin in Wisconsin features a patio with a fireplace that provides warmth in cool summer evenings. Photo by Chad Holder.